Condenser microphones are by far one of the best tools you can have as a producer. So much so that every serious recording studio out there has an abundance of these used on a daily basis. Today we’re going to show you our top picks for the top 10 best condenser microphones for music production and studio recording. After we go over those models, we will get into what makes a good condenser, how they work, how to choose one and more. The idea is to have you armed with all the necessary info by the time you’re done reading. Great chassis design that has proven its worth by now. Good performance that suits a variety of different applications. Additional polar patterns make this mic a truly great model. Not the most attractive model out there. The advantage brands such as Audio Technica have is quite real. When you can come up with a proper budget condenser which not only works, but works better than most of the competition, the market is yours. Audio Technica AT2050 definitely falls into this category. This microphone is an evolution of the famous AT2020, with a few pretty key upgrades. What you have here is a package that contains a more advanced capsule design compared to its predecessor. The chassis and all that other good stuff is pretty much the same. Why change it if it works, right? That advanced condenser capsule allows you to choose between different recording patterns, which definitely means a lot when you are doing work. Simple design which works with all aftermarket mounts. Great build quality that will serve you a long time. This mic really works best in pairs. Recording in a studio implies a lot more than just recording vocals. As a matter of fact, recording instruments tends to be quite a bit more challenging for beginners. AKG Perception 170 represents a great solution designed to help you with this process. This is a so called pencil condenser and it packs quite a performance. Here’s what it offers. The key thing for recording instruments is the ability of a mic to handle high SPL values. With a small diaphragm condenser such as this one, you don’t have to worry about that. AKG Perception 170 can withstand 155 dB of SPL all while retaining great definition as well as clarity across the frequency range. That kind of performance matters. Robust but functional design that has been proven. Great condenser capsule which offers great performance. High SPL handling allows you to record instruments. Not the most exciting mic in terms of aesthetics. 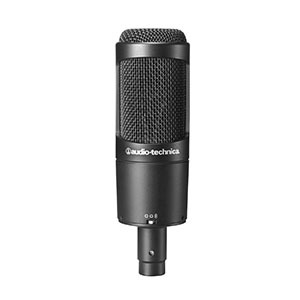 If there was one mic that reached instant legendary status, it is the Audio Technica AT2020. Just like they did in most other product categories they’re involved in, AT pretty much pushed the notch with this model. It’s an affordable and quite efficient large condenser design which is perfect for both beginners and intermediate users who are on a budget. 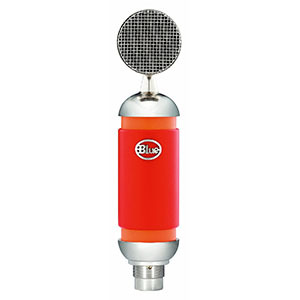 The mic itself features a very robust but functional chassis which has a pretty retro look to it. Audio Technica didn’t want to go to wild with the aesthetics anyway. Because of that, AT2020 fits in anywhere. The main thing to remember is that its condenser capsule is one of the best in that price range. Overall an awesome mic. Great design that features smart solutions and cool details. Build quality which guarantees reliable and consistent performance. Great set of accessories make this a complete setup. Not too great in terms of SPL handling. There aren’t many USB condensers which are considered to be good enough for serious work. Rode NT-USB is one of those few. What Rode did with this mic is what every other brand should strive to do. On top of offering one of the best USB condensers available, they have done their homework when it comes to accessories and features. Rode NT-USB is a perfect setup for those who are just getting into recording and want to do some work on the go. With its robust tripod and hard pop filter, you are good to go no matter where you are in the world. Aside from its mobility and functional design, this mic offers a great performance across the board. That standard Blue build quality which has been proven. Interesting set of features for casual users. Blue has built their entire brand on their Yeti line of microphones. At least that’s how most people heard of them. The truth is that Blue offers many more awesome microphones which are sometimes overshadowed by its most popular offering. Blue Microphones Spark is a great model which offers more focus to its users, literally. Here is what we mean. Instead of taking the usual route of packing the mic with an attenuation pad and other normal features, Blue did something different. They have installed a so called Focus Control which affects the performance of the microphone in an interesting way. To us it feels like it’s narrowing the polar pattern and optimizing sensitivity for a lot more focused experience. Unique design that brings great solutions all around. One of the best sounding condensers on the market. Great set of features makes it very easy to use. It might be a bit too niche for some users. The resulting response was used to calibrate the Spirit in terms of both performance and features. At the end of the day we got an impressive piece of tech that sounds impressive, comes with a built in pop filter and a custom tailored capsule. If you are yearning for a more unique sound profile, this mic might be the solution. Simple and functional design that has been proven numerous times. USB connectivity makes it a great choice for traveling. Still competitive performance despite the A/D conversion. A few more features would have been nice. If there’s one policy which Audio Technica knows how to follow, it’s that you really don’t want to fix something that isn’t broken. Audio Technica AT2020USB is probably going to sound very familiar to most of you. That is because this model is based on one of their most popular condensers. Audio Technica has basically just made a USB version. Compared to the regular AT2020, the USB model offers a number of benefits. For starters, the whole USB platform means that it’s a plug and play device which can be used on the go. We were mostly interested in how much performance has suffered because of the A/D conversion, and it really wasn’t too bad. This mic is great. Vintage design which is robust and pretty aesthetic. Impressive selection of hardware inside. Great performance profile that suits both vocals and instruments. Not all that user friendly for beginners. 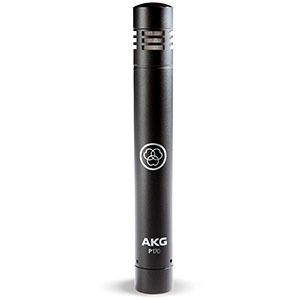 AKG is easily one of the most influential brands in the condenser market. Their designs span all price groups and offer solid performance to professionals as well as beginners. AKG C214 is a somewhat of a legendary mic that is suited for pros and advanced users. The vintage chassis not only looks cool but it allows you to see inside. Spotting that really large diaphragm inspires confidence. And it should. AKG C214 has one of the best performance profiles in this segment of the market. The sound it offers perfectly captures all of the nuances of human voice, without applying aggressive artificial coloring. We can attribute this to its capsule design as well as AKG’s refusal to compromise on performance. Simple yet functional design which works quite well. Good bang for the buck ration. Somewhat higher self noise levels but nothing too bad. Building a home recording studio on a budget tends to be quite complicated at times. No matter how financially restricted you are, there is still a fixed set of gear that you need to get. Fortunately, there are great budget mics out there such as the Marantz Professional MPM-1000. This is a simple model that brings a great core performance. Marantz did a great job with balancing the MPM-1000 in such a way that offers you the best bang for the buck. They could’ve gone with a bunch of cool features, but they knew that doing so would compromise the core performance. 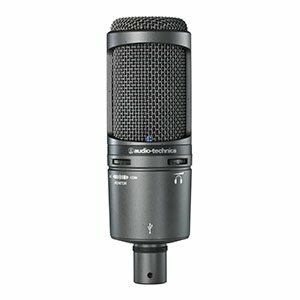 Overall this mic is easily one of the most competitive models you can get in this price range. Consistent sound that is easy to work with. Might be a bit bland for intermediate and advanced users. When it comes to reliable, no thrill solutions in the budget segment, rarely will you find something as popular as the MXL 990. 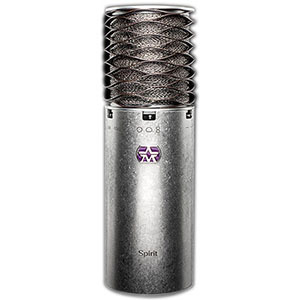 This microphone brings a combination of performance, reliability and price which is quite rare these days. If you are just getting into condensers, this mic is probably one of the most beginner friendly models you can find. 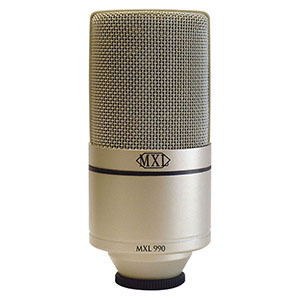 The mic itself packs a pretty delicate diaphragm which is why many love MXL 990. It is responsive, clear and fairly accurate. In terms of features, you don’t get much. 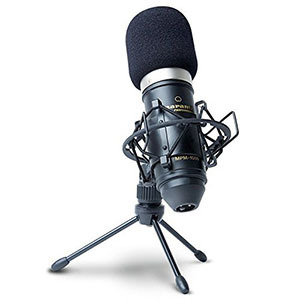 This is a basic cardioid condenser designed to get you into recording. 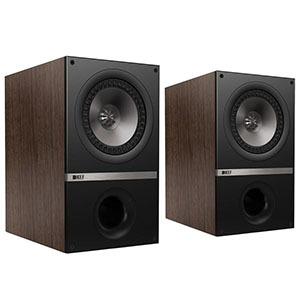 At this price, it is really hard to find something that is tangibly better than the MXL 990. Condenser microphones are the living proof that old tech isn’t necessarily bad. In fact, in this particular case that old tech is actually better than the modern one in certain scenarios. A condenser microphone is a pretty old design and represents an analog way of capturing sound. Despite all of that, they are still the main choice of producers all around the world. There is a perfectly good reason for that, though. Microphones are usually divided into dynamic and condenser models. With former being the more modern type. As it turns out, using a dynamic mic for things like vocals simply doesn’t yield the same results. You could say that dynamic mics are too sterile and precise compared to condensers. In other words, whatever ‘flaws’ a condenser design may have are actually its biggest benefits. Before we can go any further, we should probably look into what makes a typical condenser microphone. You will hear us and other people talk a lot about a diaphragms and capsules. A diaphragm is the core component of any condenser microphone. It is usually made of gold sputtered mylar these days, which makes it super responsive and light. The membrane itself is sitting extremely close to a metal plate. When you speak into the microphone, the sound waves coming from your mouth will move the diaphragm which will in turn changes the distance between the diaphragm and the plate. Now, since both the diaphragm and the plate are conductive, by changing the distance between them you are also changing the capacitance. This is how you transform a sound signal into an electrical signal. Here the thing, though. That signal is too weak to be of any use. Because of that, most condensers have impedance converters which are used to boost the signal and translate it into something that your computer and other devices can use. There is a trick, though.This conversion requires external power. This is why all standard condensers require phantom power source, which usually means an audio interface of some kind, or a mixer. There are two different ways we can differentiate between condenser microphones. You have your Large Diaphragm Condensers and Small Diaphragm Condensers. The other way to categorize condensers is to divide them into XLR and USB models. Lets talk a little about each of these and see what the catch is. This is your most popular type of condensers and is considered to be standard. Diaphragm size can vary, but is in most cases revolving around 1″. The benefit of large diaphragm condensers is their ability to add a unique depth to human voice. Large diaphragm condensers come in all shapes and formats. You will find them among condensers which cost $50, but you will also find them among high end models. Depending on which one you go for and how much you are willing to spend, you will get a more or less accurate microphone. Large diaphragm condensers are what you generally find in recording studios these days. In contrast to LDC, small diaphragm condensers are built to be a bit more functional and practical. Instead of being fairly optimized for vocals, these microphones tend to record everything with the same amount of transparency. Due to their smaller diaphragm size, this type of microphone is much better at dealing with high SPL values. This in turn makes it a great choice for recording instruments such as drums, but also acoustic guitars and similar. With all that said, you can use both LDC and SDC microphones for vocals as well as instrument recording. Only thing to remember is to be careful and stick to the rules. We have already mentioned that most condensers create a signal that is too weak to be exported to other audio equipment. Because of that need for phantom power, those microphones run on the XLR standard. As a matter of fact, a good portion of microphones used for stage work and studio work are XLR based. If you are building a home studio, using these means that you will have to invest in an audio interface or a mixer. Although it may add a little to the cost of your setup, this is still the best way to go. On the other hand we have USB condenser microphones. Instead of having to boost the signal after the fact, USB condensers use an A/D converter to convert the signal from an analog into a digital one. The general consensus is that USB condensers are much more practical for everyday casual use but come with a few tradeoffs. The largest one has to do with sound quality. Running a digital signal means that you are losing a certain amount of resolution. This is where you need to decide what kind of applications you have in mind for your microphone. If you are doing serious studio work, chances are that you will go with an XLR setup. However, if you are into content creation, you might want to stick to a USB rig. The fact is that there are great USB condensers which work perfectly for YouTube and vlogging. Another application where you could really benefit from a USB setup is gaming. A good gaming condenser is almost always running via USB standard. To put it simply, use an XLR setup for studio applications and USB for more portable recording stations. Both of these are among the recommended mics for podcasting. Now that we know more about condenser microphones, lets look into what kind of features they usually come with. Contrary to popular belief, most of these features are not necessary for you to record music with a condenser microphone. A standard condenser is all you really need to do so. However, we would be lying if we said that some of these features aren’t useful overall. Lets get to it. Polar patterns represent areas from which the sound will be picked up by the microphone. The most standard polar pattern is a cardioid which tends to pick up sound coming from the front and sides, with a limited exposure in the back. Cardioid pattern is what you will find in an average condenser. However there are more patterns out there. If you invest into a solid $200 condenser, chances are that you will run into models which come with a variety of polar patterns. Investing a bit more and getting a $300 condenser will yield all polar patterns. Aside from the standard cardioid there are also the omni-directional, figure of eight, super cardioid and sometimes even hyper cardioid. Each of these has its benefits. It is important to understand that no polar pattern is inherently better than the other. It all comes down to what you are trying to record. 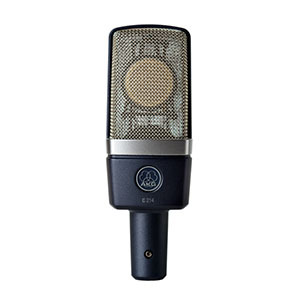 SPL value is one of the few metrics you should really look into when choosing a condenser microphone. SPL stands for Sound Pressure Levels and is an important factor when recording instruments. In simple terms, SPL represents how much volume your microphone can take before it starts distorting sound. Human voice packs a medium SPL value, but something like a drum kit may pus your mic to its limits. When you run into such issues, it is great to have some attenuation at your disposal. Attenuation is nothing more than shaving off 10 to 20dB from the input signal. Here is a simple example. If you were trying to record your guitar and found out that it is pushing your mic past its limits by 5dB, engaging an attenuation pad would bring that input volume into the manageable territory. Sometimes attenuation pads are used for vocals as well. High pass filters are another type of features which come in pretty handy. The filter itself is designed to shave off a certain bandwidth of lower frequencies when engaged. Why would you want to do that? When you are recording music or voice, sometimes there is ambient noise pollution that gets past the sensitivity threshold of your mic. As it just so happens, most of that noise is contained in the lower end of the frequency range. By applying a high pass filter, you are essentially deactivating those portions of the frequency range which eliminates the noise without impacting the quality of sound too much. Naturally, a high pass filter can in theory mess with a deep male voice but that rarely happens. What we have listed so far represent the most common features found on condenser microphones these days. Aside from these, you will find some pretty atypical ones as well. One that comes to mind are recording modes. Certain condensers feature methods of sound optimization that is almost completely automated. Where as you would have to tweak the sound using both features on the mic and on your work station, recording modes allow you to access different sound profiles right away. You will usually find a recording mode optimized for instrument use, one for vocal use and more. One of the most overlooked aspects of getting started with condensers are accessories. The fact is that these microphones require a bit of help in order to deliver the type of performance they are truly capable of. There are two types of accessories you should really consider and those include pop filters and shock mounts. Pop filters or pop shields are a must have piece of kit no matter what. If you are talking into the mic, you need this accessory. Its purpose is pretty self explanatory. If you were to say ‘pop’ into a condenser, you would find that sometimes those hard P sounds are pushing the mic into distortion. The reason for this is the fact that a hard P produces a short, high SPL burst that sometimes overwhelms the mic. The simplest and most common way of dealing with that issue is by using a pop filter. It is a piece of mesh fabric stretched over a frame, which breaks up those sound waves before they reach the capsule, thus preventing any distortion. Investing in a good pop filter is always a good idea. Another accessory that is every bit as important are shock mounts. Since condensers are fairly mechanical in nature, in as sense that they contain a large moving membrane, means that they are also susceptible to certain kinds of interference. Vibrations can cause the diaphragm to move, thus creating noise. Using a shock mount isolates the microphone from outside influences and reduces the amount of noise caused this way. Some condensers come with built in shock mounts which work fairly well. Even so, it is always a good idea to double up with an after market mount that adds another layer of protection to the capsule. Fortunately for us, most mics these days come with both a pop filter and a shock mount. Even if they don’t, sourcing these two pieces of kit is pretty easy and inexpensive. Learning to use a condenser is a skill that comes with time. Once you train your ear to notice different nuances of sound, you will understand just how destructive unwanted noise can be. Condenser microphones are still the main tool when it comes to recording sound. Compared to their vintage predecessors, modern condensers are neither fragile nor functionally limited. Instead, we have models which push the boundaries of what this tech can do. The models listed above are easily some of the best on the market. Depending on what your intended application is, some of these may be more attractive than the others. If we had to choose one, we would have to stick with the Aston Spirit. It’s exotic for sure, but it also packs a very real performance that many appreciate.